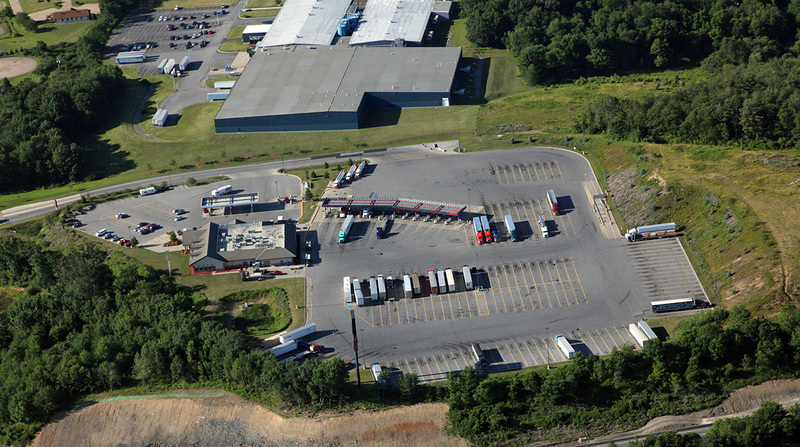 The Pennsylvania Department of Transportation is reviewing industry responses to its request for input on the prospect of initiating a public-private partnership to help the state address its shortage of truck parking. Truck stops and companies in the logistics, construction services and traffic management software businesses were among those filing responses, PennDOT spokeswoman Jan Huzvar said. A total of 19 responses were received and are now under review by PennDOT’s P3 office, she added. According to motor carriers polled in a separate PennDOT survey, limited overnight parking is the highest-ranked problem in the state; Pennsylvania’s Transportation Advisory Committee has identified a shortfall of nearly 4,400 parking spaces across the state. This latest request for information — which opened Nov. 20 and closed Dec. 12 — was meant to help the agency determine the private sector’s role in the truck parking problem and ways in which the state can encourage partnerships with the freight industry. It also was meant to help PennDOT identify which parking technology solutions perform well and what constitutes a safe and successful parking facility. In its response, Natso — formerly the National Association of Truck Stop Operators — urged PennDOT to explore ways to lower the private sector’s costs in building truck parking capacity and avoid regulatory measures that would impede private truck parking providers. Private truck stops and travel plazas provide 90% of the truck parking capacity in the country. Natso’s comments also discussed how public policy interests can clash, making it difficult for federal, state and local government agencies to work together. For example, Neuman pointed out that federal truck parking efforts, such as the U.S. Department of Transportation’s National Coalition on Truck Parking, don’t always align with the work of local government agencies, which frequently balk at truck stops. “Such obstacles frequently preclude the private sector from advancing a project that would otherwise have added truck parking capacity to an area,” Neuman said. A nationwide lack of available truck parking ranked No. 5 on the American Transportation Research Institute’s list of industry concerns, which was released Oct. 29. Pennsylvania is important for freight movement, and trucking activity is expected to grow in the state in the coming years. According to PennDOT’s Comprehensive Freight Movement Plan, the state’s infrastructure network carries 1.1 billion tons of freight, a figure that is expected to increase to 1.9 billion tons by 2040.